Full day trips with up to 6 anglers will be done on the PATRIOT. Other party sizes can be handled on the FOXFIRE and SPIRIT. On this 8-12 hour trip we will focus on the best opportunity for the largest Halibut. Typically the range will be up to 55 miles plus one way to put us in the most productive and least fished waters. 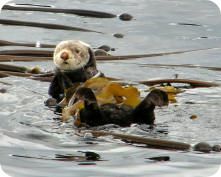 We will typically soak lines in distant kelp beds where the largest fish are often hunting. This type of fishing can have a slower bite but when they do hit they are often terrific fish. We always have the opportunity to clean up on the way back to port. This trip is really designed to maximize the success of the trophy fishermen but it can be great for families too. 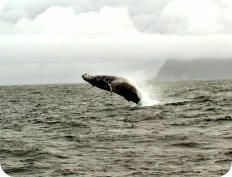 This trip is offered late April through Mid September. On this 8-12 hour trip we will focus on Salmon & Rockfish. This will be a troll fishery where we will be using downriggers and diving planes to maximize success. The PATRIOT is equipped with electric down riggers, a rear control station, multiple fish finders, and a special trolling motor that allows us to dial in perfectly to the fishing conditions of the day. Much of the trolling will be around the bluffs towards Anchor Point but we will travel to wherever the fish are on any given day. King Salmon fishing has been great for the past few years and Silvers are extremely productive later in the summer. Rockfish daily bag limit is 5 per day and only 1 can can be non-pelagic. Any halibut that are caught would need to be immediately released due to current regulations. On this 8-12 hours trip we will split our time between Halibut and Salmon. The range on this trip is usually 30 miles one way or less due to the location of the most productive Salmon fishing areas. The weather, tides, fishing success, and angler desires will really set the tone of this trip. 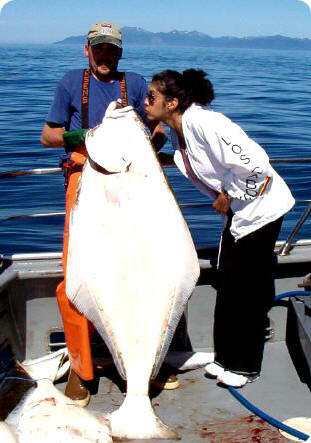 Halibut are a bottom fish with the best success coming at or near the slack tides. 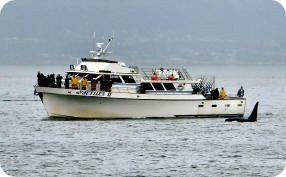 Salmon will be fished with electric down riggers and diving planes while trolling. The most sought after Salmon will be Kings so be sure to have your Salmon stamp with you. This trip will be offered late April through most of September. This is the trip I am most looking forward to. 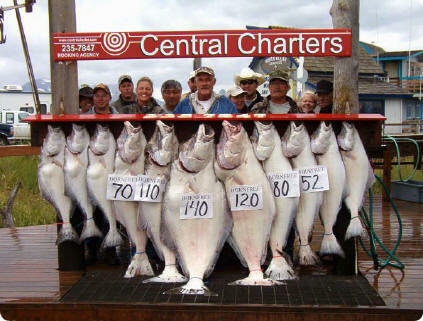 Mid sized halibut, and terrific Salmon should make for an awesome experience. Bring your friends. On this 8-12 hour trip we will be splitting our time between Halibut and Rockfish. The range on this trip will normally be 55 miles plus one way to put us into the pinnacles where the Rockfish live. Traveling this kind of distance also puts us into some really great halibut. Even though Rockfish and Halibut typically reside in different bottom structures it is not uncommon to get some big halibut at the same time. We will also be close to more traditional and high productive Halibut areas. The anglers will discuss current conditions with the crew and together we will decide where to place the greatest focus and most time. Black sea bass and yellow eye are fairly abundant and extremely tasty. Lingcod can be much more challenging so if Lings are really your focus I would encourage you to consider the SUPER KILLER COMBO. 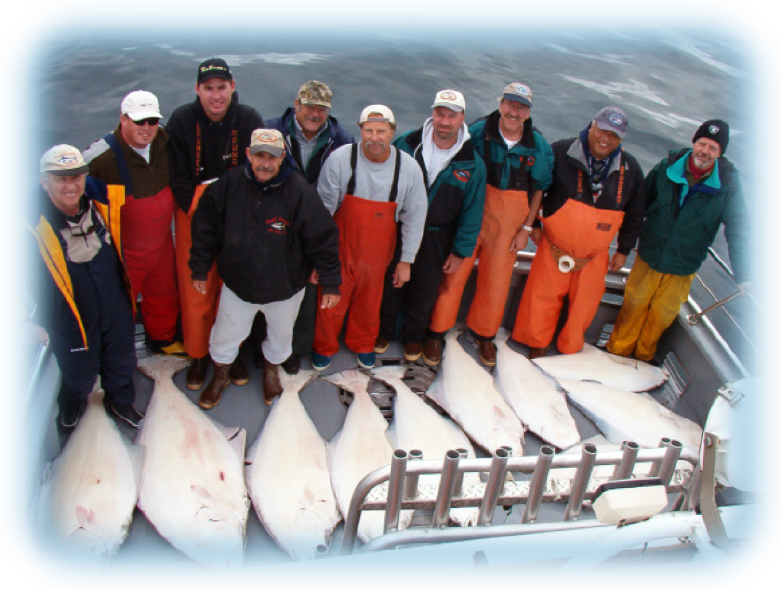 This is a great trip that allows time and distance for some really great halibut and awesome Rockfish.